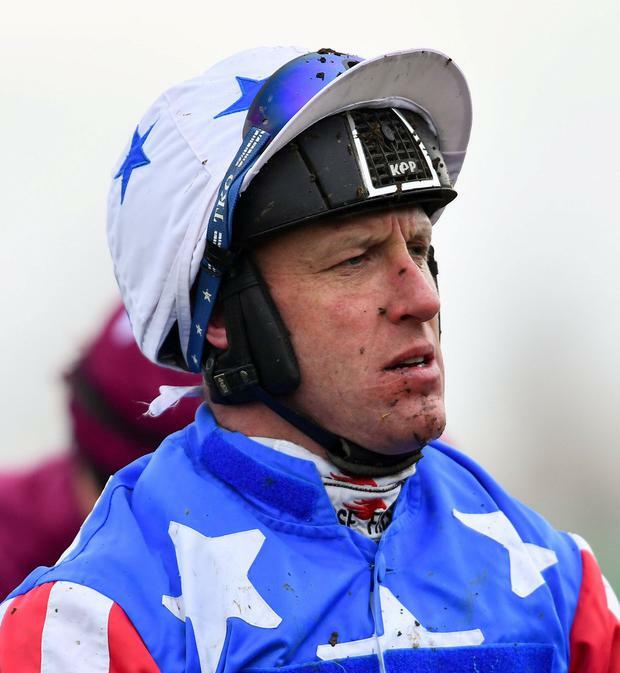 Power, who won the Aintree spectacular on Silver Birch in 2007, sustained a back injury at last week's Cheltenham Festival - but expects to return in time for the big race in Liverpool on April 6. "I picked up a little injury at Cheltenham so I'll be out for a couple of weeks, but hope to be back for Aintree," said Power. "It's nothing too bad. I've got a small back injury. Hopefully it will settle down for Aintree." Elsewhere, Cheltenham hero City Island is likely to round off his campaign at Punchestown next month. Following relatively low-key hurdling wins at Leopardstown and Naas, the six-year-old justified trainer Martin Brassil's faith with a commanding victory in the Ballymore Novices' Hurdle. Brassil reports his stable star to have returned home in rude health and the Punchestown Champion Novice Hurdle is his next intended target. "I was hoping he could go to Cheltenham and do what he did, but you're never sure going over there," said Brassil. "He'd done everything we'd asked of him without being thrown in at the deep end. I just hoped he'd go over there with loads of confidence and show what he can do and that's the way it worked out, thankfully." Meanwhile, trainer Peter Fahey is targeting Peregrine Run at the Topham Handicap Chase at Aintree on April 5. The Kildare handler believes the race over the National fences will suit his classy performer and is looking to give him a prep run over hurdles at Thurles on Saturday. A Listed winner over fences at Wexford in October, he has not raced since finishing fourth behind Snow Falcon at Down Royal on November 3.